Engineers should have a good level of technical competence and an imaginative approach to design solutions. We would look for excellent communication skills and the ability to develop client and professional team relationships. You will have experience at being responsible for the operational delivery of projects, and ensuring a high standard of engineering in accordance with the company standards, to the client’s satisfaction. You will be a strong team player with a proven ability to think creatively, and efficiently. +Prepare calculations, drawings, specifications and reports to a high standard of accuracy using company software. +Take responsibility for the project delivery. +Prepare project programmes and review resource allocation as required. +Manage and co-ordinate with intermediate/junior and support staff as required. +Be driven and self-motivated to develop your skills and capability through continuing professional development supported by the practice. +Implement and comply with the quality management plans to support and contribute to the Practice’s long term strategy. +Attend site for the purpose of surveys or inspection of contractors installation works onsite, or snagging and witness testing. +Maintain contact with the other members of the design team to respond to queries, co-ordinate the design, and build professional relationships for the benefit of the project and potential future works. Contact London office about this role. You will have growing capability and experience in electrical building services engineering to clients’ satisfaction, ensuring accuracy of drawings and calculations, and ensuring designs are economic and appropriate making sure that the relevant codes and standards are adhered to. +Take responsibility for specific areas of the design and project development as instructed. +Inform, communicate and promote the standards created and required within our internal quality management systems. +Implement and comply with quality management plans to support and contribute to the Practice’s long term strategy. +Work closely with other members of the team in sharing information including knowledge, strategies and successes. +Input into project programmes to allow senior staff to resource projects adequately. +Ensure client satisfaction to secure future repeat business. 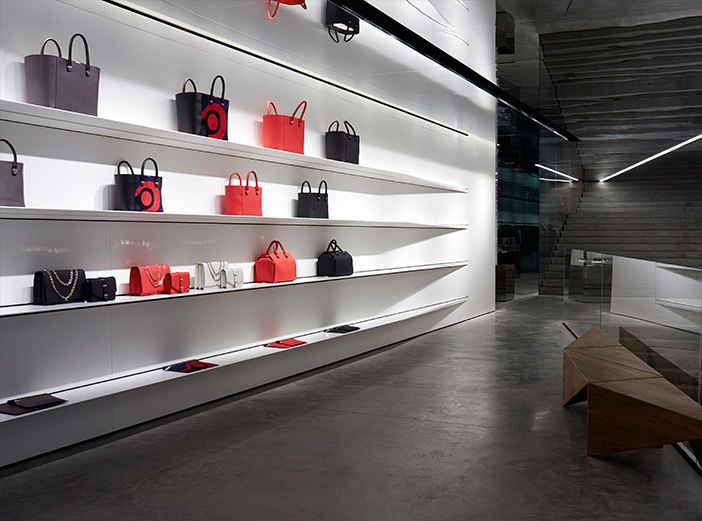 Victoria Beckham flagship store. 36 Dover Street, London.